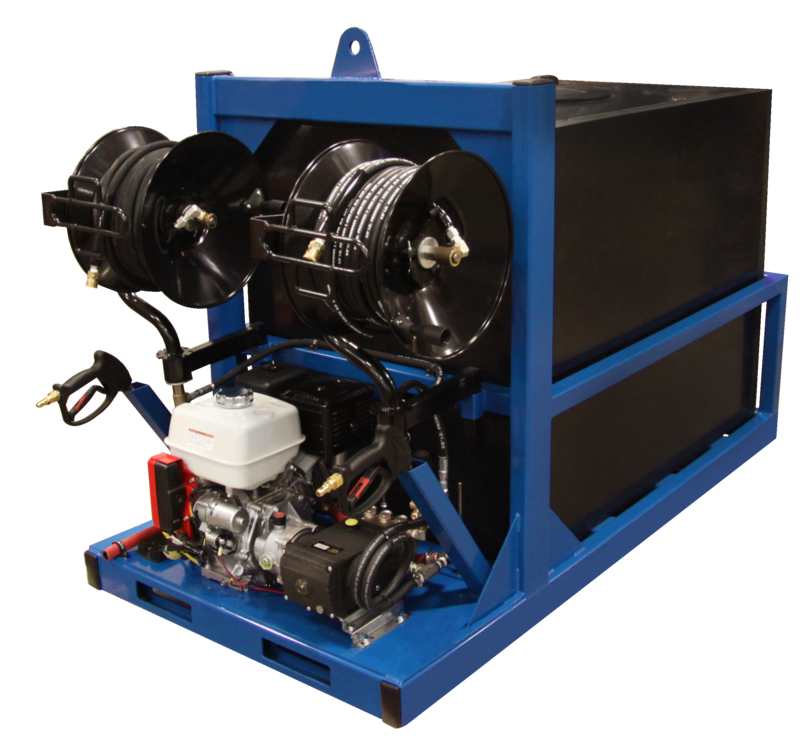 Customize a skid unit to your application! 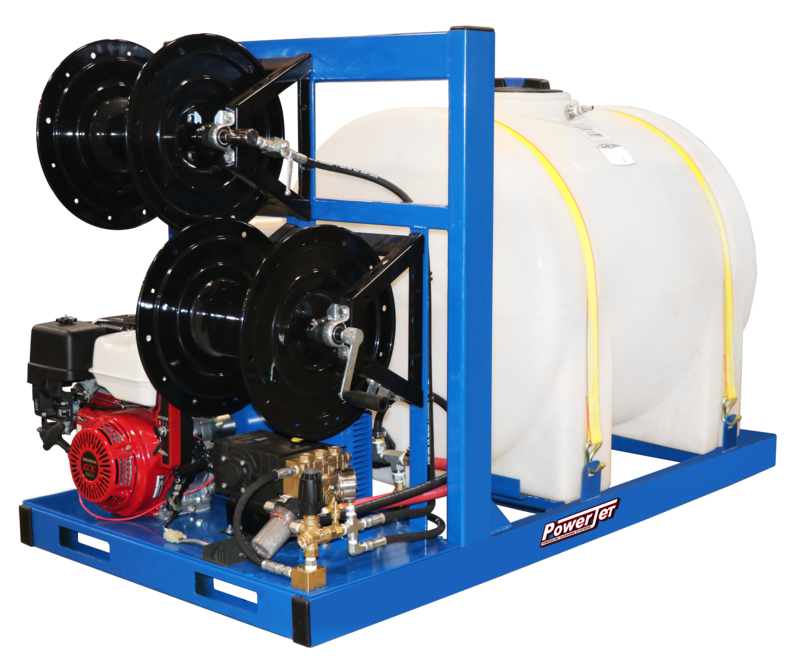 Hot and cold water systems available to pair with a water tank and hose reels to create and all in one skid package. 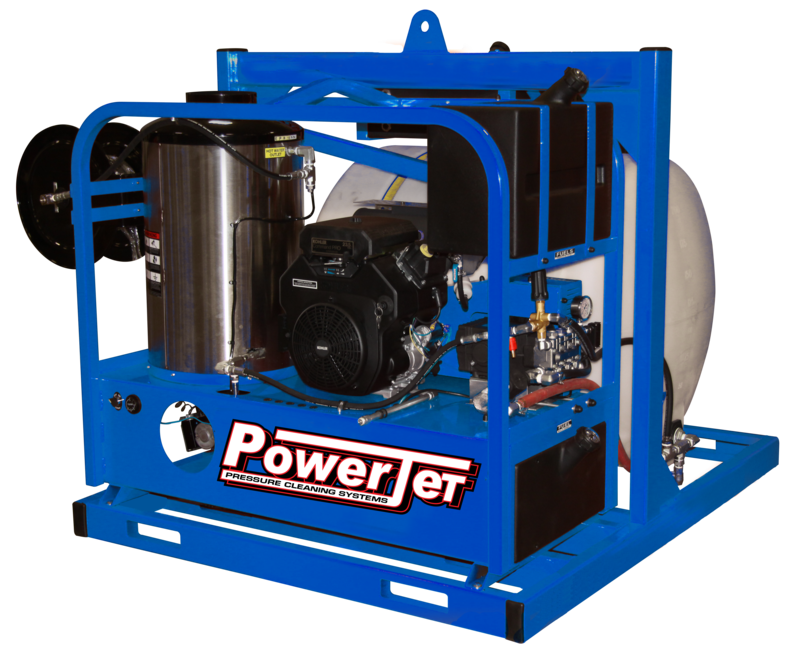 Customize a totally self contained cleaning system to meet your needs. 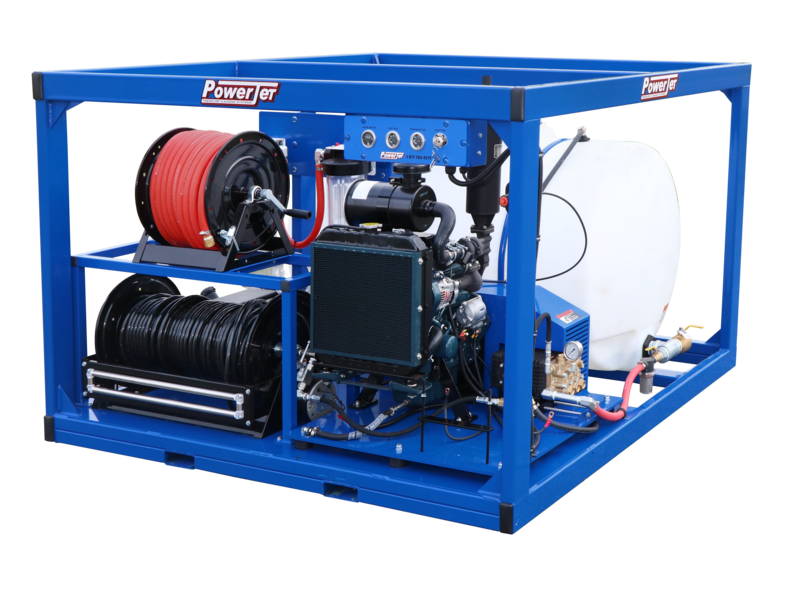 Choose a machine from the industrial hot water gas or diesel driven series, a water tank (225, 525, 740 gallon) and your hose reel(s). Winterization and chemical tanks are also available with these skid packages. The skid frame is constructed from fully welded steel tubing (sizing depends on the size of the unit) that is fully powder coated for a lasting finish. It is equipped with both lifting eyes and forklift slots for loading and unloading your unit. 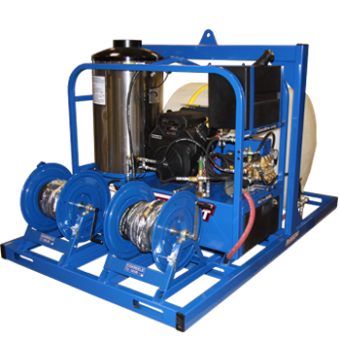 These units allow you to have a fully portable self contained cleaning system that can be transported to job sites with ease. Being able to load and unload your unit also gives you the option of using your truck or trailer for alternate uses as well.